Housing this huge amount of people is certainly not an easy task. After all, how on earth can you accommodate thousands of Olympic athletes and more than a million viewers speaking in different languages in one single city? This daunting responsibility requires years of planning and organizing that consist a number of much needed modifications such as redevelopment of certain venues, area adjustments in Olympic proportions, and new construction of edifices to further secure the expected number of people gathering in this most awaited, colossal event for everyone to enjoy. The Olympics may be fun and enthralling to most people but this is a serious monumental business that needs a proper committee that is fully committed to making everything happen, just as it was first launched a couple of centuries ago. “There’s no such thing as can’t” is an old French proverb. This is the equivalent of “nothing is impossible.” Apparently, Frenchmen do not believe in the impossibility of things. They do not even have a French word for impossible! This certainly explains a lot since the modern Olympic Games were founded by a venerable French professor. Now, we will find out how they are able to continuously keep the ancient tradition of the Olympic Games. Le Comité International Olympique is a relatively small group that is responsible for making sure that this massively global tradition will not be forgotten, as the Olympic Games will continuously go on. It is a non-profit and non-governmental organization that was founded on June 23, 1894, by none other than Pierre de Frédy, Baron de Coubertin, a renowned French educationalist and is now known as the father of modern Olympics. This is also why the current dominating language for this year’s Olympic Games is French. IOC is currently headquartered in Lausanne, Switzerland and has a total of 105 active members with 32 honorary members. The IOC organizes and plans the modern Olympic Games, which happens every two years and the Youth Olympic Games (also called the Summer and Winter Olympics), which occurs every four years. This gives the Committee an ample time to prepare for the upcoming games for the more than 200 nations that will participate. London, with its ancient historical fineness and innovatively advanced glory, is without a doubt, a suitable choice for the Summer Youth Olympic Games. But then again, so are the other cities, which can be as equally charming, powerful, and exotic. 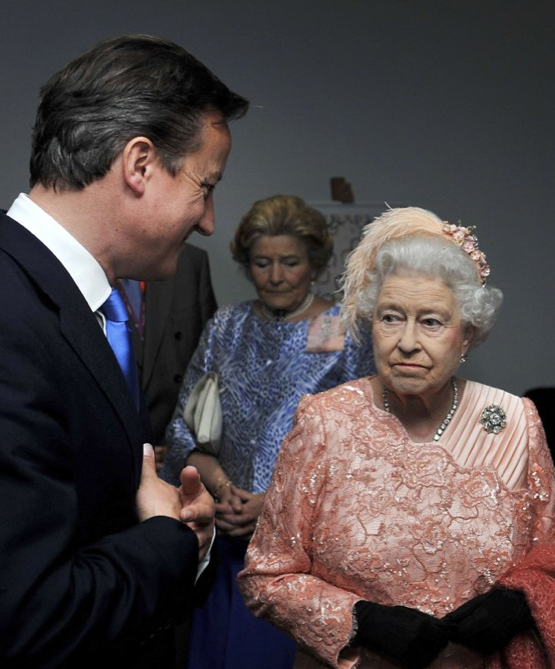 This makes us all wonder, how did London become the host for the 2012’s Summer Olympics? For one thing, this is certainly not because of its sprawling Ferris wheel that is said to be the “London Eye” of the metro, nor because of the rigid fortress known as the Tower of London, which is as old as the city, that tenaciously stands until today. The selection is done through an arduous bidding process that is initiated by the IOC. All interested countries are welcome to submit their bids to host this much-awaited event. The committee will have four rounds of votes. The one with the highest poll wins. The said process is commenced as early as nine years before the Olympic season starts. These cities are capable to accommodate the Olympic event since they are all big, dominating metropolises that are impressively high in the global ranks when it comes to their financial successes and economic developments. It is a tough call but the committee has a century-old standard. They see to it that these qualifying factors are duly met by personally visiting each country while they make an extensive background check regarding the most recent news regarding the security and safety of the city and nation. After tediously checking the nooks and crevices of the said cities, the four round of votes was finally released on July 6, 2005 during the 117th IOC Session in Singapore. Five candidates were left to compete with each other. These cities were London, Madrid, Moscow, New York City, and Paris. Having the lowest vote, Moscow was the first city that was eliminated followed by New York and Madrid. London and Paris had a tight competition. London won by four points with a total of 54 while Paris had 50 votes. Seven years before the Summer Olympic Games begun, the official city that would host it has become official. The dates have already been set as well, which was from July 27 until August 12, 2012. These were strategically selected to correspond with the school holidays and with the best sunny disposition of the country. As soon as the city was chosen, preparations immediately took place since London officials have planned to secure the Summer Olympics by modifying and improving existing infrastructures, completely constructing new venues, and providing provisional facilities. Deadlines were strictly set and adhered to since the whole metro was to be modified to suit the worldwide event that was already fast approaching. 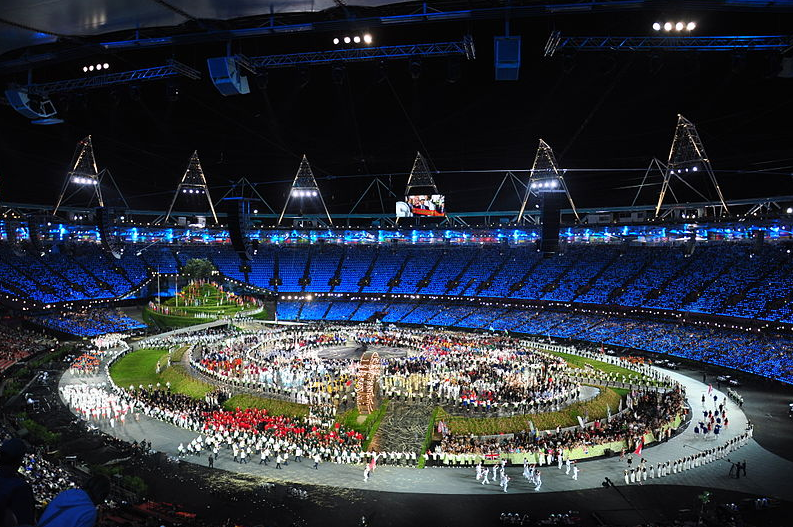 Year 1: The remainder of 2005 was used to prepare the sites and locations needed for the Olympics. Year 2: By the end of 2006,construction of the Aquatics Centre has begun. Year 3: At the onset of 2007, a detailed plan for the betterment of the Channel Tunnel and the Stratford Rail Link was finished and reviewed. The construction of the BMX Arena and the Velodrome began during this time as well. As the summer arrived, the Athlete’s Village and the 3 western arenas were already being built. Year 4: The year 2008 came and more fancy constructions have begun. These were the Media Centre and the Olympic Stadium. By the end of the same year, the Aquatic Centre and the Olympic Park were finally completed. Year 5: In 2009, the Millennium Dome was decidedly changed into the O2 Arena to display the enormous sponsorship of the IOC. Year 6: 2010 brought the completion of the western arenas and the extension of the East London Line. Year 7: 2011 arrived, with one year left, the Olympic Stadium, Athlete’s Village, and the Media Centre were completed simultaneously. By this time, tickets have been released to the public. The intricate blueprints that were specifically created for the Olympics were impressively done and a waste, barren land was converted into a state-of-the-art Olympic Park that houses newly constructed buildings and venues for several sport competitions. · Aquatic Centre. Has a total capacity of 17,500. The competitions mainly include water sports such as Diving, Modern Swimming Pentathlon, Swimming, and Synchronized Swimming. · Basketball Arena. Has a total capacity of 12,000. Competitions include Basketball, Handball. Paralympic Games include Wheelchair Rugby and Wheelchair Basketball. · BMX Track Arena. Has a total capacity of 6,000. A venue for BMX Cycling competition. · The Elton Manor. Has a total capacity of 10,500. A venue for Wheelchair Tennis (Paralympics). · Copper Box. Has a total capacity of 7,000. Handball and Modern Fencing Pentathlon. Goalball for the Paralympics. · Velodrome. Has a total capacity of 6,000. Track cycling for the Olympics and Paralympics. · Riverbank Arena. Has a total capacity of 16,000. Field Hockey for the Olympics while Football seven-a-side and Football five-a-side for the Paralympics. 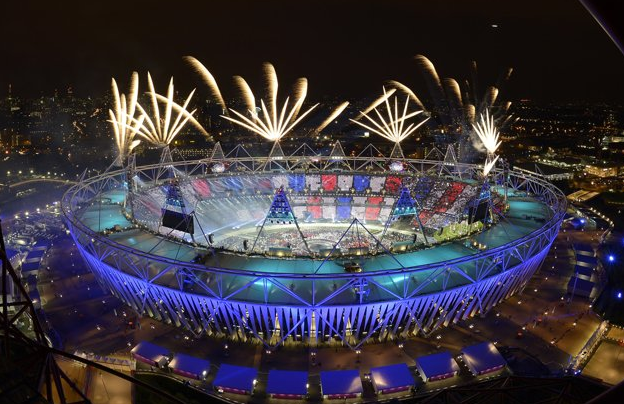 · The Olympic Stadium. Has a total capacity of 80,000. This is a memorable venue that houses all ceremonies including the opening and closing events for both Olympics and Paralympics. · The Water Polo Arena. Has a total capacity of 5,000. For Water Polo competitions. · The Olympic Village. This was specifically created for all athletes and their teams that would participate in the said event. This can provide suitable lodging for 17,320 people. · ExCel. Has a total capacity of 10,000. Boxing, Fencing, Judo, Table Tennis, Taekwondo, Weightlifting, and Wrestling competitions will be located here. · Greenwich Park. Has a total capacity of 23,000. Equestrian and Modern Pentathlon for riding, running, and shooting will compete here. · North Greenwich Arena. Has a total capacity of 20,000. Competitions include Basketball Finals and Gymnastics. · Royal Artillery Barracks. Has a total capacity of 7,500. Shooting and Archery will take place on this venue. · All England Lawn Tennis and Croquet Club. Has a total capacity of 30,000. Tennis Playoffs. · Earls Court Exhibition Centre. Has a total capacity of 15,000. Indoor Volleyball. · Horse Guards Parade. Has a total capacity of 15,000. Beach Volleyball. · Hyde Park. Has a total capacity of 3,000. Triathlon and Swimming Marathon. · Lord’s Cricket Ground. Has a total capacity of 6,500. Archery. · Marathon Course. For Lengthy Marathons. · Wembley Arena. Has a total capacity of 6,000. Rhythmic Gymnastics and Badminton. · Wembley Stadium. Has a total capacity of 90,000. Football Finals. · Brands Hatch. For Cycling Marathon (Paralympics). · Dorney Lake. Has a total capacity of 30,000. Sprint Canoeing and Rowing. · Hadleigh Farm. Has a total capacity of 20,000. Mountain Biking Cycling. · Lee Valley White Water Centre. Has a total capacity of 12,000. Slalom Canoeing. · Weymouth and Portland National Sailing Academy. Has a total capacity of 17,400. Sailing. · City of Coventry Stadium. Has a total capacity of 32,500. · Hampden Park. Has a total capacity of 52,000. · Millenium Stadium. Has a total capacity of 74,600. · Old Trafford. Has a total capacity of 76,000. · St. James Park. Has a total capacity of 52,400. The IOC has unanimously decided to eliminate these two sports – Baseball and Softball, much to the sheer disappointment of many people. However, this did not stop Women’s Boxing from being included in the Olympic Program for the first time in history. Mixed doubles are incorporated again in all tennis matches, allowing it for the first time after 88 years. The selection of the said sports is done through votes, which requires at least 2/3 of the majority from the members the committee. One of the most monumental events that make the Olympics extraordinary is the grand opening ceremony that marks the beginning of dignified sportsmanship from all participating countries. The symbolic raising of the Olympic flag, the bearing of the Olympic torch, and the lighting of the Olympic cauldron have been done since the ancient Greeks started the first Olympic Games. This only means that not all antediluvian traditions are lost since this soulful global event is a clear proof that there are some things that can still continue, regardless of the time they have begun, as long as people continue to patronize the very essence of these antiquated events that are now considered as a timeless legacy to the world. All important officials and guests were present during the majestic opening of the 2012 Summer Olympics, which was held at the most impressive Olympic Stadium of the country. London’s finest artists have all united to present the Olympic City in pure ecstasy and joy through talented and skillfully choreographed performances that are strategically scheduled in groups to further entice and charm the public. The 2012 Summer Olympic Games was regally and ceremoniously opened by Her majesty, Queen Elizabeth II and Prince Philipp, Duke of Edinburgh. The overall opening program was aptly titled as the “Isle of Wonder,” as film director Danny Boyle showed the best faces and entertainers that are highly esteemed in the industry and all over the world. The opening ceremony promptly began at four o’clock in the afternoon and ended at around midnight. After the National Anthem and the Queen’s quick introduction, the traditional Parade of Nations finally begun. This was when the athletes of all participating countries, together with their flags, marched in front of everybody, proudly representing their nations in a foreign country. As the athletes walked with their heads up high, songs were played and sung by famous bands such as Beautiful Day by U2, West End Girls by Pet Shop Boys, Stayin’ Alive by Bee Gees, and Rolling in the Deep by Adele. 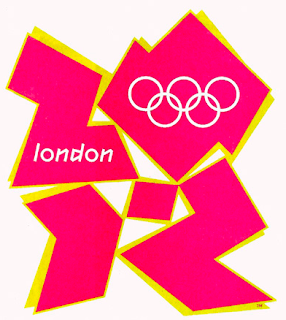 The Olympic Flag consists of five interconnected rings on a plain white background. These rings and colors signify the unification of all nations. Eight, iconic people from around the world carried the equally iconic flag. These individuals were the Secretary-Generals of the United Nations from different countries. This is rather different from the accustomed “athletes only” that usually carry the Olympic banner. As the flag was hoisted and raised, the Olympic Hymn began followed by the Olympic Oath for the athletes. Since the Summer Olympic Games are for the youth, seven young athletes have been given the rare opportunity to bear the torch as they passed it to one another in a brilliantly directed display. It all started with David Beckham. He arrived from a motorboat while he was carrying the Olympic Flame. He then lit the torch of the seven teens. Each young adult consequently ran one lap in the Olympic Park while the bands kept on playing their live tunes to further please the public. 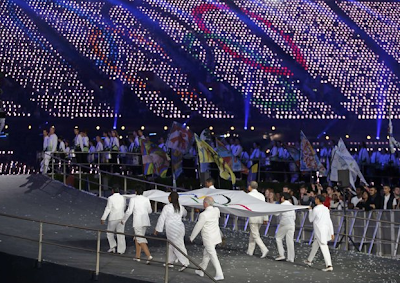 As the seven young athletes began to converge, they all stopped in front of the participating athletes so they could light all 205 copper petals, which represented all nations. 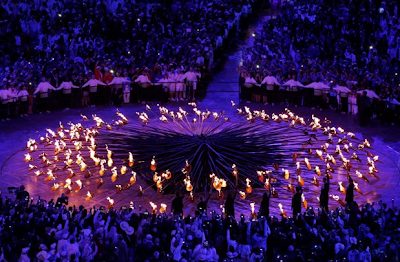 As soon as the flames have spread out, the petals were raised to form a circular shape, which soon became the Olympic Cauldron. 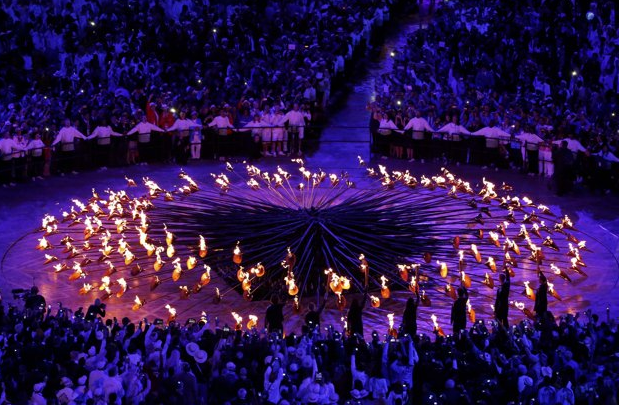 This certainly is one of the best opening ceremonies that has been created in the history of the Olympics. On August 12, 2012, the closing ceremony of the Summer Olympic Games will commence at the Olympic Stadium. It is expected that over four billion people will watch the epic ceremony due to international broadcasts. As the tradition goes, the Olympic Flame from the Olympic Cauldron will finally be extinguished. However, the flame will be lit again at the onset of the Winter Olympic Games, which will take place in Sochi, Russia in the year 2014. It will also display the solemn handover of the torch to the next city that will host the Summer Olympics, which is Rio de Janeiro, Brazil. These events will be accompanied with the best songs played by the finest symphony and artists. "Other times, other customs." The French fervently believes in this saying and this is one of their strong points as to why their country thrives successfully in every path that they take. Change is inevitable and it is only the constant thing in life that we all need to follow. The Olympics may be an ancient tradition but they are not an exemption to the rule and the committee knows and accepts that. It has certainly changed a lot over the past centuries to suitably fit the current generation, much to everyone’s appreciation and delight. Mieux vaut plier que rompre. “Better to bend than to break.” This is another French proverb that we must all learn regardless where you are and what dialect you speak. There are over a hundred languages spoken today and because of this wondrous event, all language barriers are instantly crushed as the whole world begins to feel the oneness among nations through the old customs of sportsmanship and gameplay.